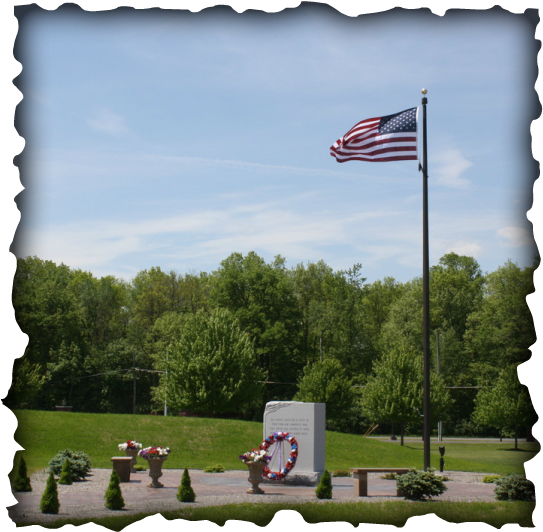 The Town has completed construction of a Veteran's Memorial at the Town Hall site to honor all who have served our country. Honorable Supervisor Sheppard organized and acted as the Master of Ceremony for a Memorial Day event in which all Veterans were honored. 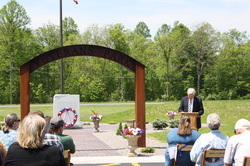 Honorable Senator Mike Nozzolio spoke to nearly 200 Town residents who attended the ceremony. 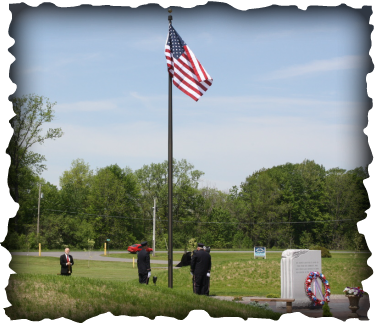 The Town's original flag pole and flag were retired and a new flag now flies above the Veteran's Memorial. 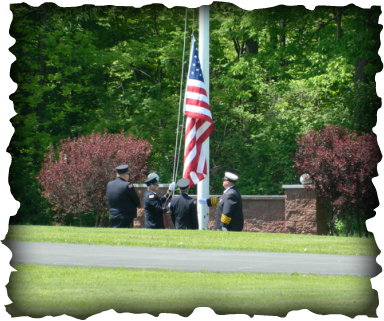 Volunteers from the Hall, Stanley, and Seneca Castle Fire Districts generously helped to retire the original flag and place the the flag and pole in service. Dan Bradley accompanied the Firefighters with "Taps" and "Raise the Colors" on trumpet. Pastor Manilla Owen delivered the Invocation and Benediction for the ceremony. Rachel Rouland presented her winning Memorial Day essay to the entire assembly. Rob Wolfe, of Wolfe Architects and son of the Town Historian Jane Wolfe, and the late Roger Wolfe generously donated his time to design the Veteran's Memorial. 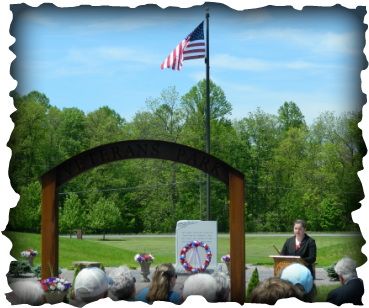 Floyd Rayburn of FGR Masonry generously donated labor and concrete for the Memorial. 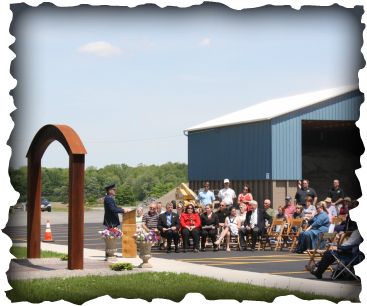 The Memorial Committee would like to express a sincere thank you to the generosity of all who have contributed time, monetary donations, and gifts to support this project.